At Flowers for all Occasions we care passionately about customer satisfaction and for this we work tirelessly to deliver beautiful fresh flowers every day. 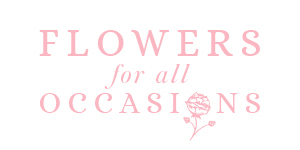 Our latest reviews have been received via our membership with Direct2florist. Each review has been verified by Feefo. Feefo is an independent review specialist and they ensure only customers that have placed an order may leave a review. Have bought from this florist three times now. Beautiful flowers delivered on time at reasonable price. Recommended. Fantastic service and beautiful flowers at such short notice on Mother’s Day thank you. Highly recommend. First class service, went out their way to ensure customer satisfaction. My mum said the arrangement was beautiful with plenty flowers. Beautiful bouquet in sturdy waterproof packaging. Delivered early on Valentine's Day which was important for my wife. Lovely people. My friend was absolutely delighted with her flowers which she described as "absolutely beautiful" .....and very well presented. She is hoping to trace the florist for her own future personal needs. My friend was absolutely delighted with her beautiful flowers. Exactly what I ordered. Thank you. Will use again.